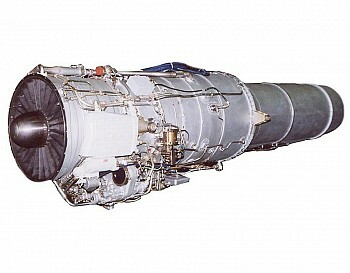 This turbofan is a version of the AI-25TL engine mounted in the L-39 and K-8J trainer aircraft. It can power combattrainer modifications of these aircrafts and be adapted to power other existing trainer and combat trainer aircraft and those under development to be used as light attack aircraft. 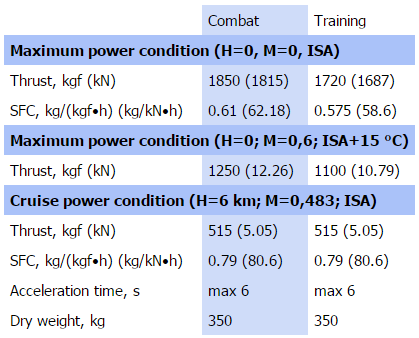 In this respect, a combat power rating of enhanced maximum thrust, employed for strike operations, has been additionally introduced and engine acceleration time has been substantially reduced. The engine preserves the previous design of automatic control system to provide retrofitting the earlier produced L-39 and K-8J aircraft. At a customer's request, the engine can be modified to be controlled by a FADEC system.